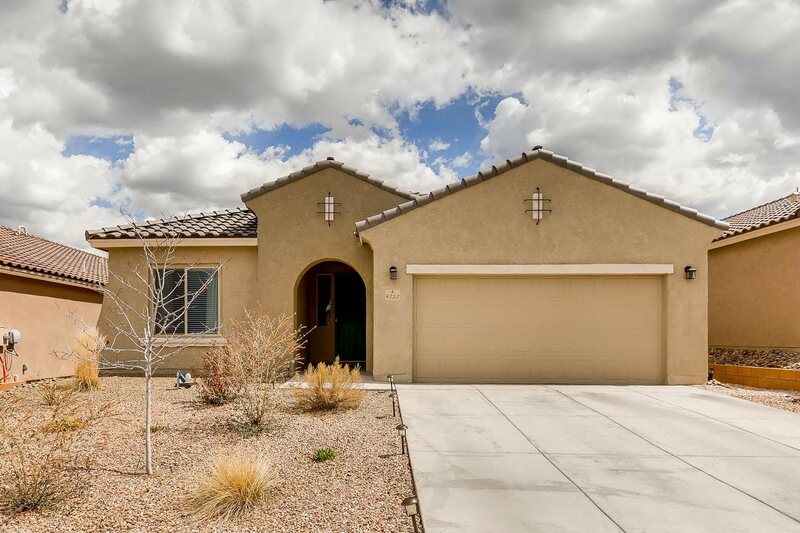 Immaculately maintained, energy efficient, green built home in the new Las Soleras community! Too many upgrades to mention! Very light, bright, open floor plan. A cooks kitchen with upgraded granite countertops, upgraded cabinets, stainless steel appliances, (refrigerator, washer/dryer do not stay). Great separation of bedrooms all with wood floors. Tankless hot water heater, A/C, fully landscaped backyard with a gazebo for entertaining and so much more! Directions To Property: West On Governor Miles. South On Dancing Ground (Go Through Nava Ade To Las Soleras). Make First Left Onto Walking Rain Rd, Then First Right On Hojas Verdes. Extras: Cooking - Gas, Garage Door Opener, Insulated Windows, Landscaped, Sprinkler/Drip Sys. Green Remarks: Built To Pulte&apos;s Green Code Specs.